Anniversaries. 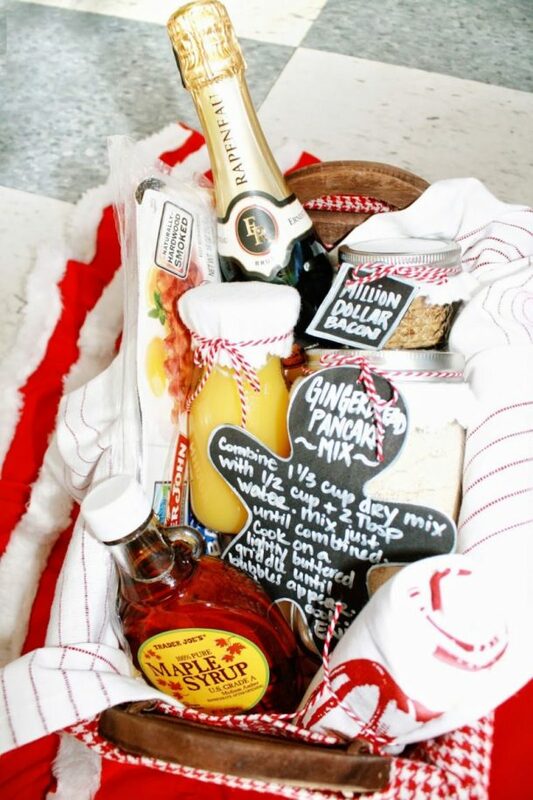 How do you choose a gift that expresses your love and gratitude for your other half? It's a mighty task that most people find too overwhelming, so they just opt for a safe card instead. 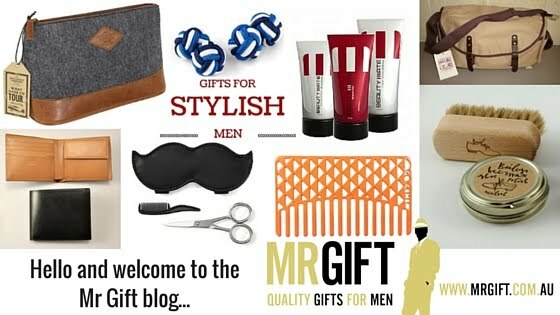 But choosing the perfect anniversary gift doesn't have to be daunting, or expensive. We've put together a list of our fav anniversary gifts for many of the milestone anniversaries. 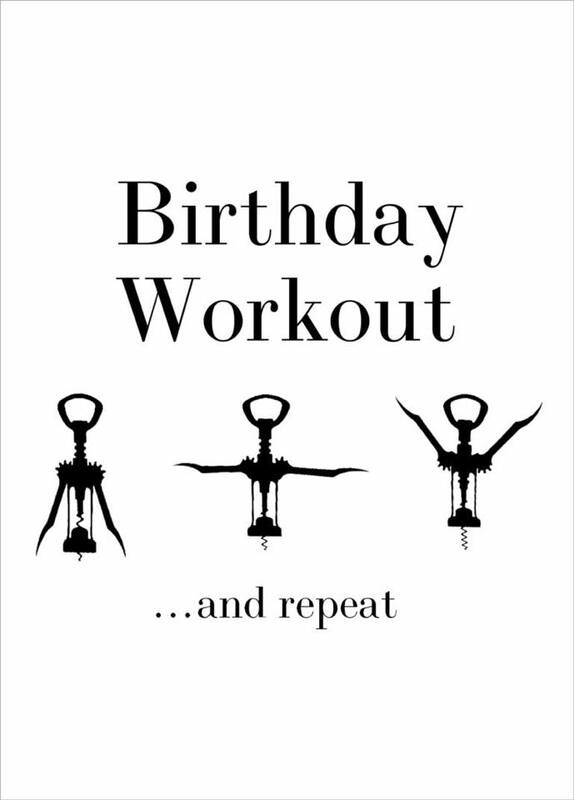 There's also plenty more on our website, so you'll be sorted for your next anniversary! We're also offering a $20 DISCOUNT on all orders from now until midnight, Sunday 24/6/18. Use Discount Code ANNIVERSARY in the Discount Code field when you place your order. If you don't know already, you'll work out pretty quickly in the first year of marriage if your partner can cook...or not. 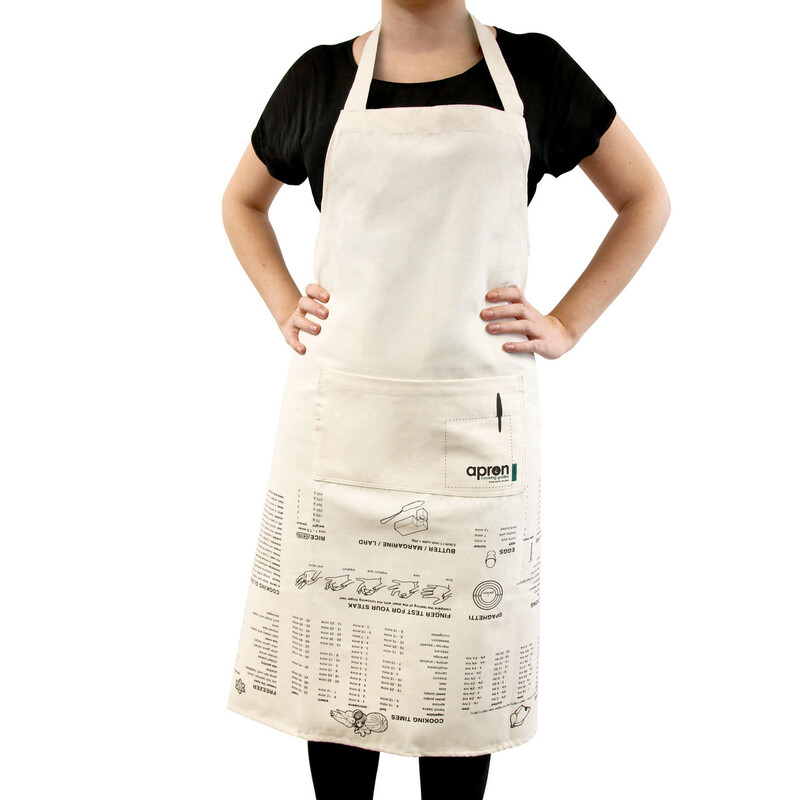 If not, this handy apron will give your life partner some tips on how not to burn food. Inspire your lover (or yourself) to feel happier, get fitter, cook and love better, take better pics, or just slow down with one of these 30 Day Challenge Boxes. This one's for the cricket-loving lover. Wedding anniversary gifts don't need to be expensive, and can still have a thoughtful message. 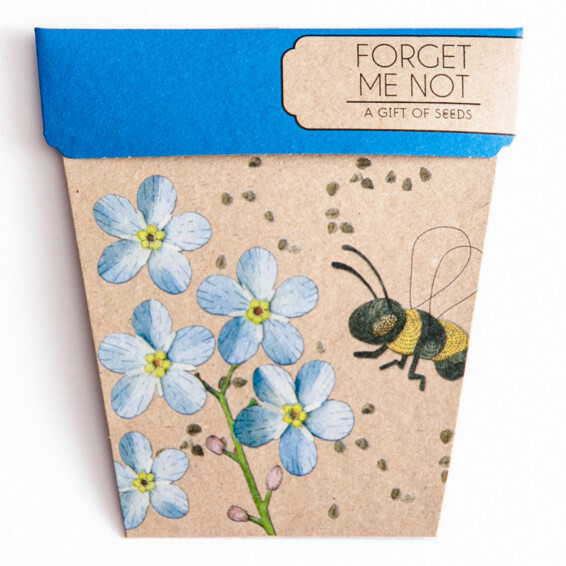 These seeds are also the gift that keeps on giving when the plants grow and start to flower. 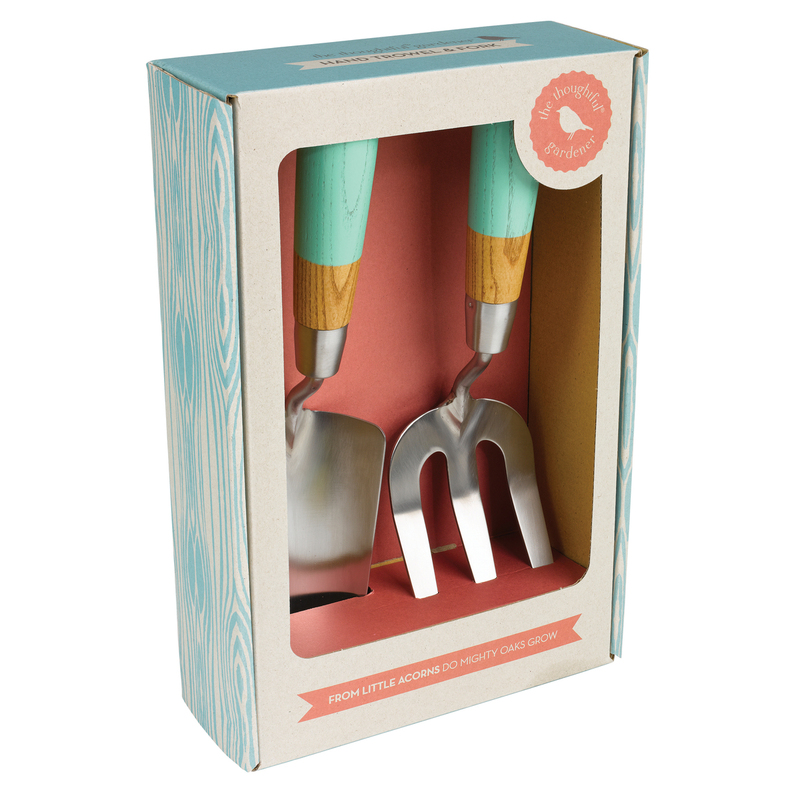 No gardener can live without their trusty hand trowel and fork. This set comes beautifully packaged and presents well as a gift. If you’ve ever seen a hippo eat a watermelon (seriously, google it!) then you’ll know that a hippo would be perfectly capable of opening a beer bottle. But they might swallow the whole bottle! 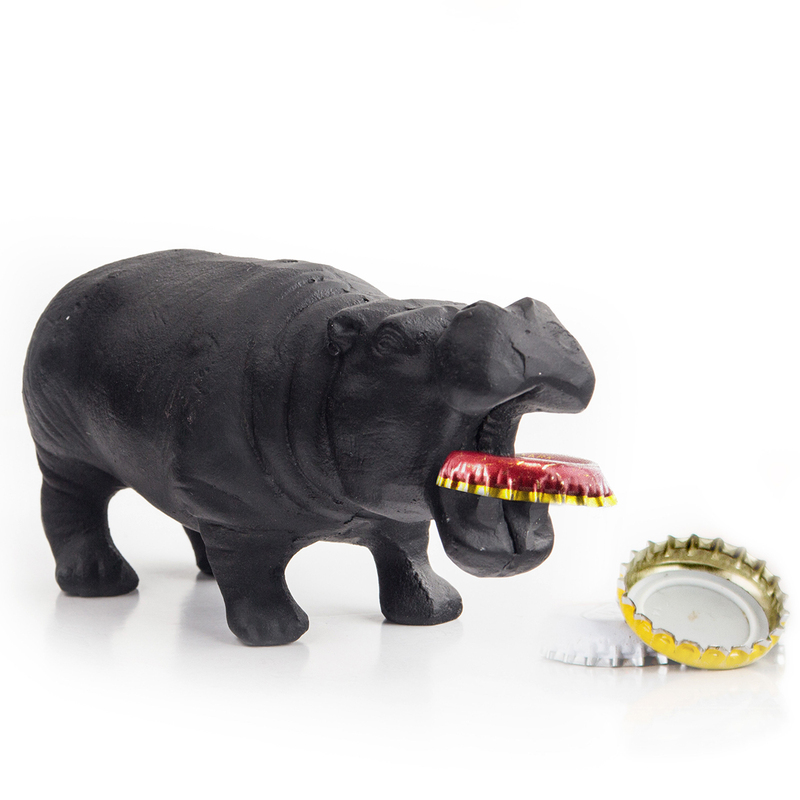 This hippo is a little smaller than a real-life one, and is the perfect party guest. He’ll happily remove the cap from your bottle without so much of a sip of your drink – gotta love that! 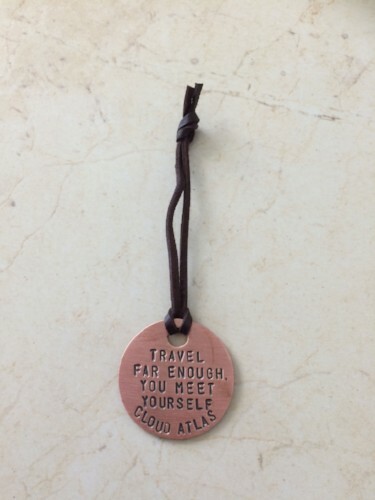 Even when travel keeps you apart, you'll stay in your life partner's heart every time they look at this unique handmade luggage tag. 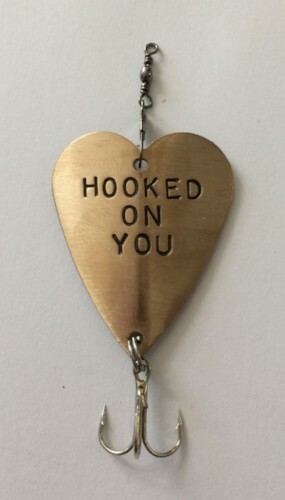 The ultimate unique gift for a fisherman (or woman), complete with a loving message. 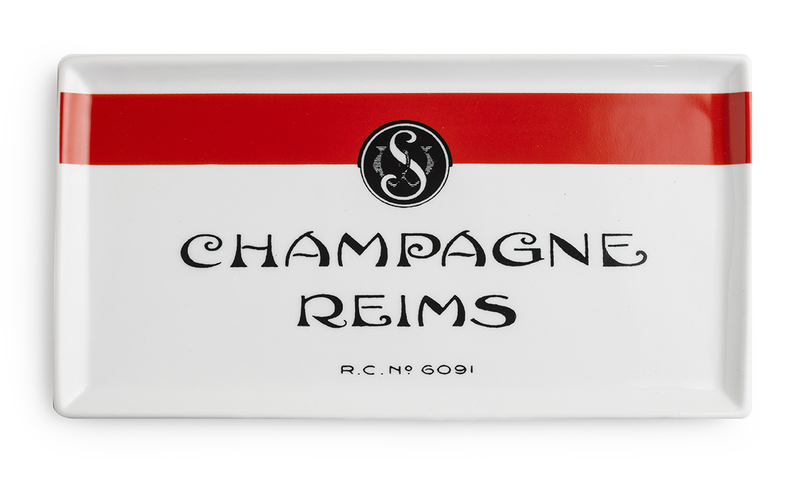 Every anniversary celebration deserves a little champagne. 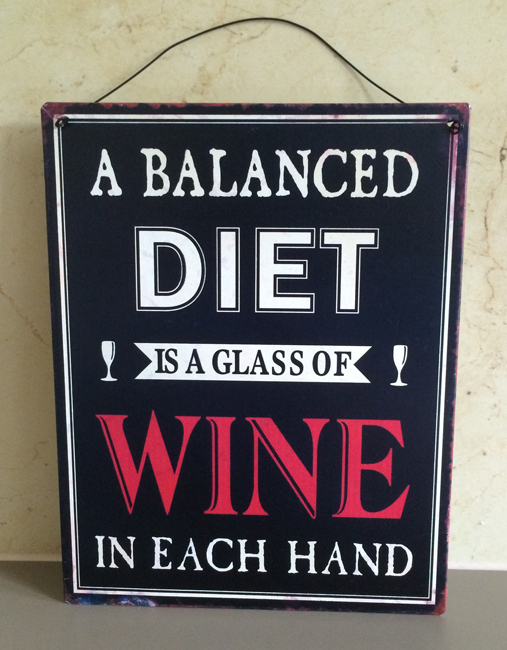 A great gift for those who enjoy the occasional glass of vino! 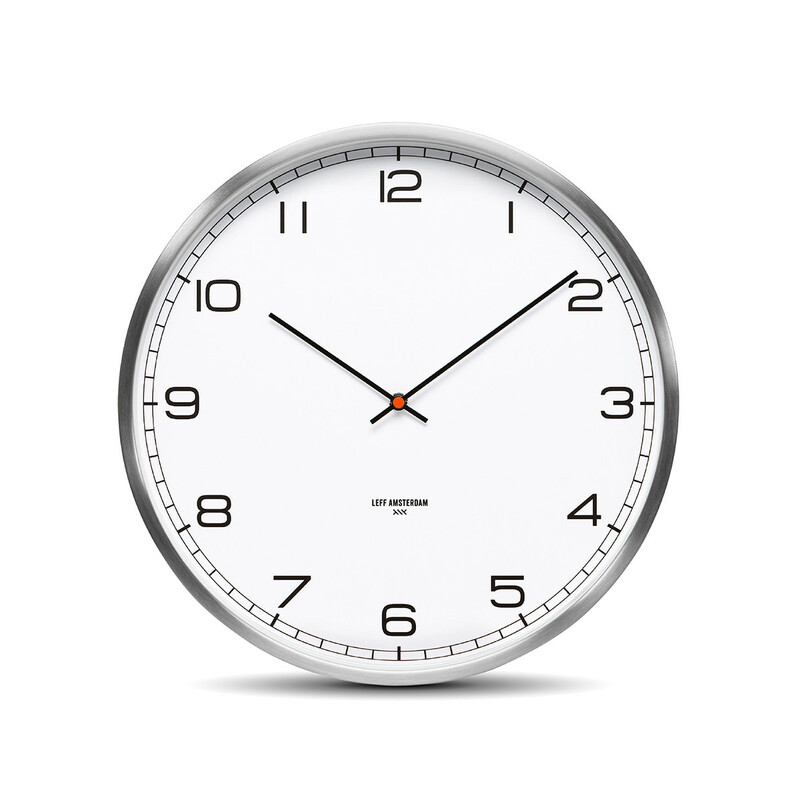 Clocks are one of our favourite gifts for any occasion, but they work particularly well as a special anniversary gift. 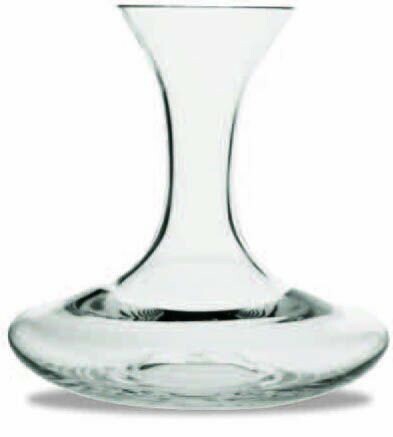 Celebrate this special anniversary with a nice bottle of red, decanted in this gorgeous crystal decanter. 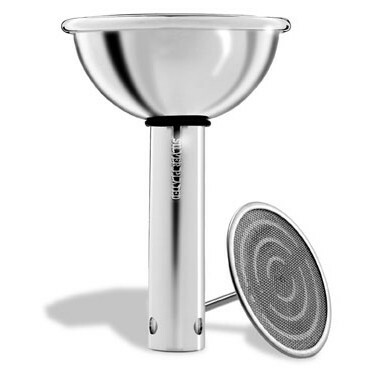 A handy little wine gadget designed to aerate and filter your wine quickly. Funnel also works nicely with the Cantina Master Decanter (above) for express decanting if you're impatient and just want to drink your wine now! Ok, so this isn't a real ruby. 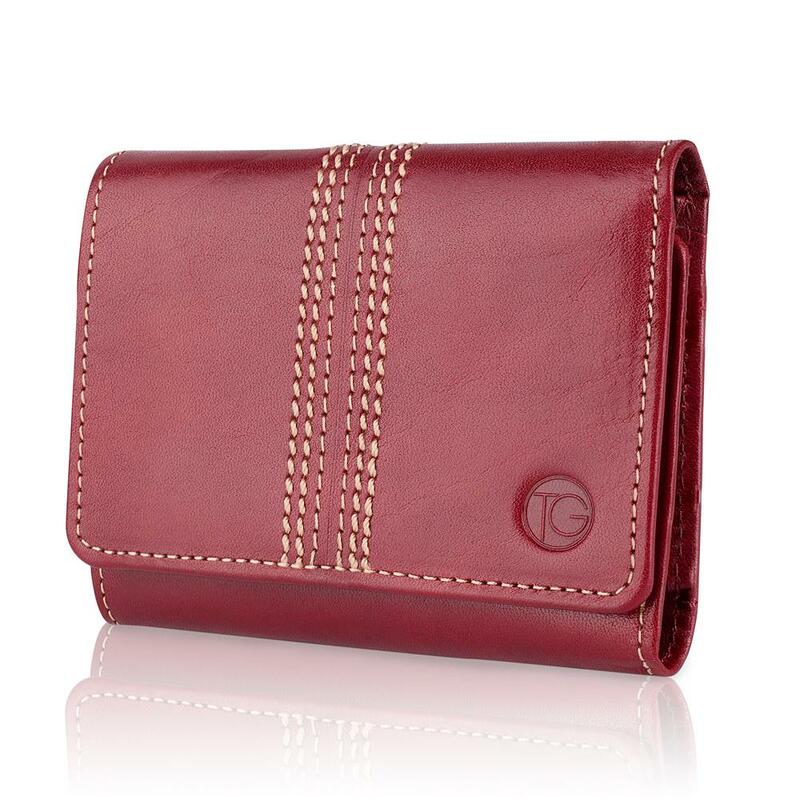 But as far as colour goes, this wallet is as ruby as you can get. It's also pretty stunning. 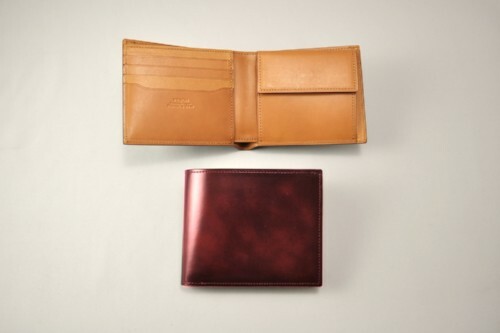 When it comes to blue sapphire colour, you can't go past these gorgeous Kinuya AWA AI wallets. 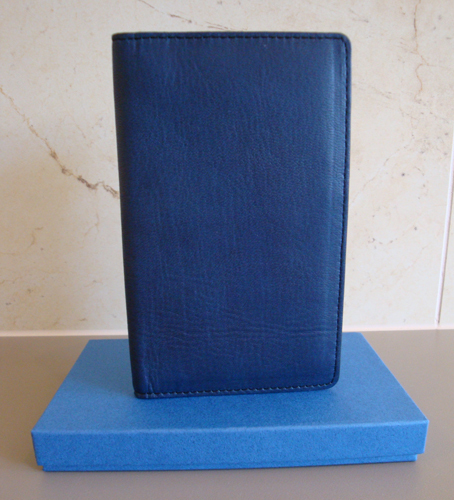 This beautiful wallet is suitable for men and women, and is great for people with lots of cards. This Gold Titanium Nitride pen is guaranteed to impress. The elegant styling of this pen is timeless, and a piece to be treasured forever. This could also be easily personalised with engraved initials for an added 'wow' factor. Wow! You made it to your 80th wedding anniversary - congratulations!!! There are probably few things you need at this age, apart from good company, a comfy chair and something entertaining to watch on the telly. 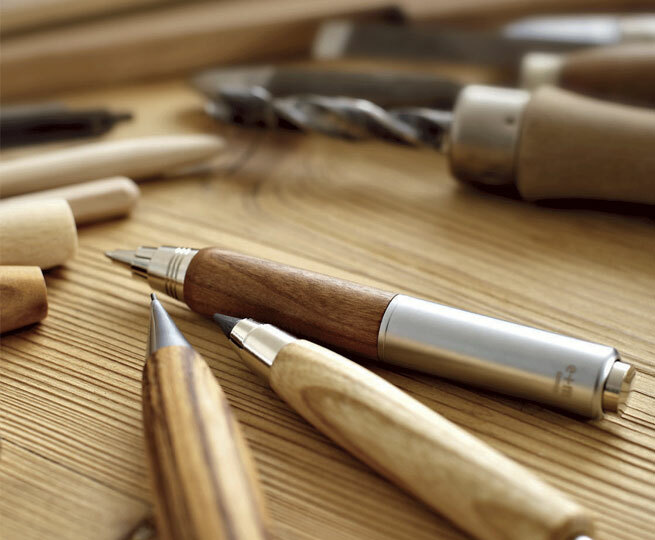 Oak seems a very random choice for this anniversary, but short of planting an oak tree, this beautiful pen from German brand, e+m is a sight to behold. They are also thicker pens, and easier for older hands (that might be troubled by arthritis) to grasp...just saying. "You're always one decision away from a totally different life." "I'm lucky enough to do business with my partner in life, and I often think about this quote in our relationship when we sometimes struggle or argue. 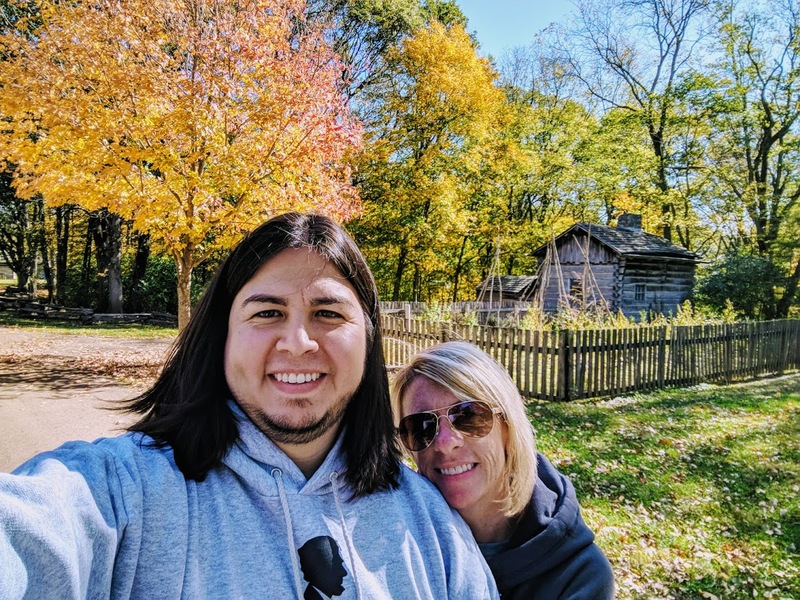 We were so close to not even having a relationship (or a business!) but because of the strength that her and I both have, we are able to work through problems that sometimes sneak up on both fronts. We have this quote on a magnet on our refrigerator, and it's a constant reminder to have patience, not react with blunt emotion, and that we make our own future so we better make it good." Jared Carrizales is a marketing coordinator for KariMirabal.com, and founder at HeroicSearch.com. 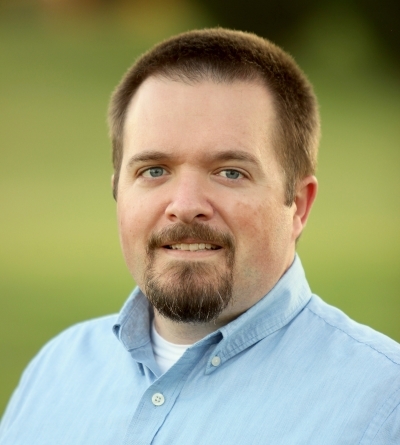 Jared has worked with Kari to help spread her message of career growth and networking to audiences around the world. In the meantime, they share adventures wherever they go. "If you always do what you've always done, you'll always get what you've always got." 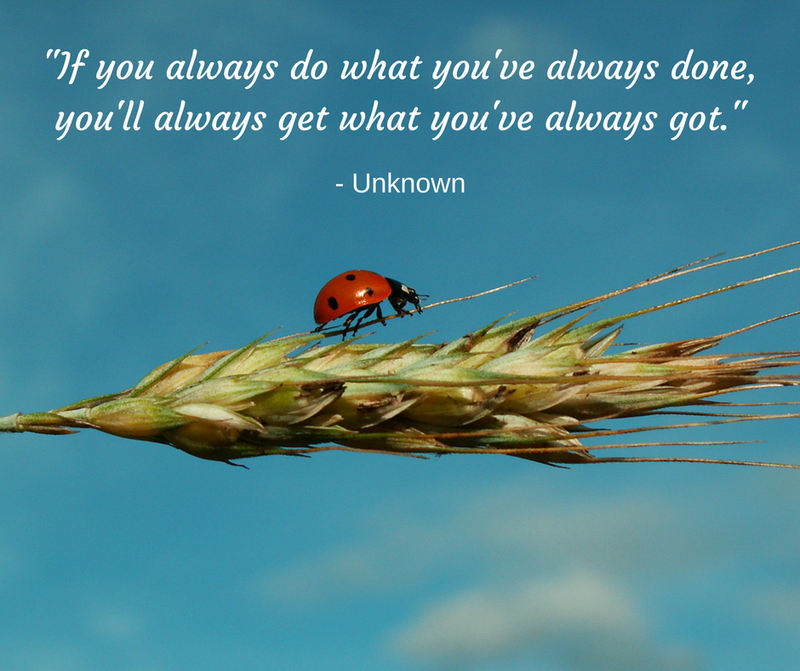 "This anonymous quote (that's attributed to many different people) has reminded me that we need to step beyond our comfort zone if we want to achieve our goals. Always push your limits." - Beecher Bowers. 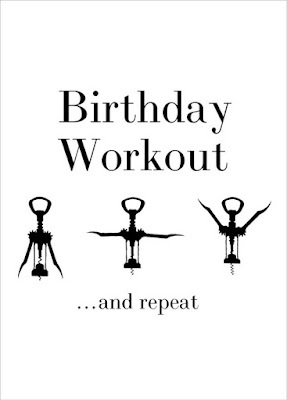 The best kind of workout there is! "The quote which has changed my life is short and concise, 'work until your idols become your rivals'. 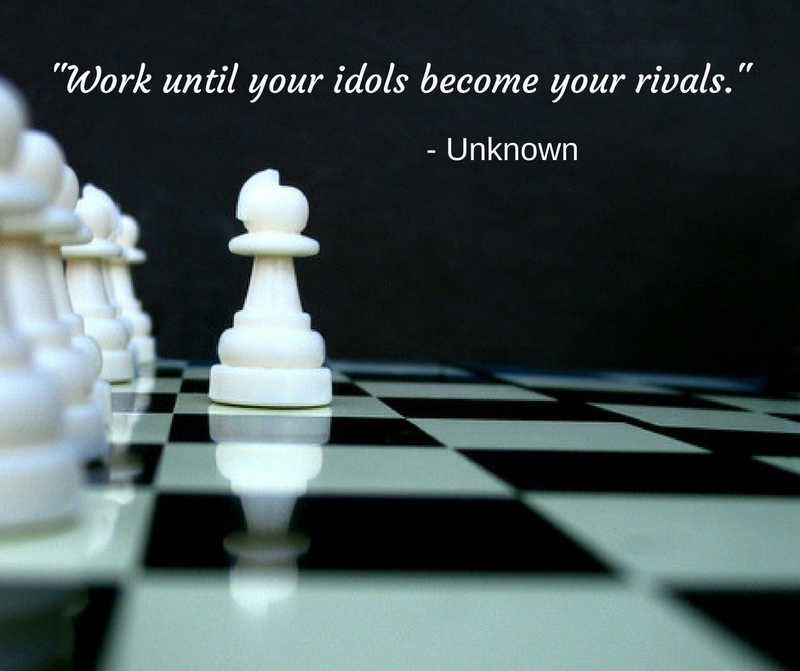 Unfortunately the author of this quote is unknown, however the reason it resounds with me so much is because it reminds me every day to work hard until I the people I idolise become my equals. With hard work and persistence, everyone has the potential to reach the greatness of the people they admire." Carlita is a travel blogger and photographer based in Australia at www.carlita.me. 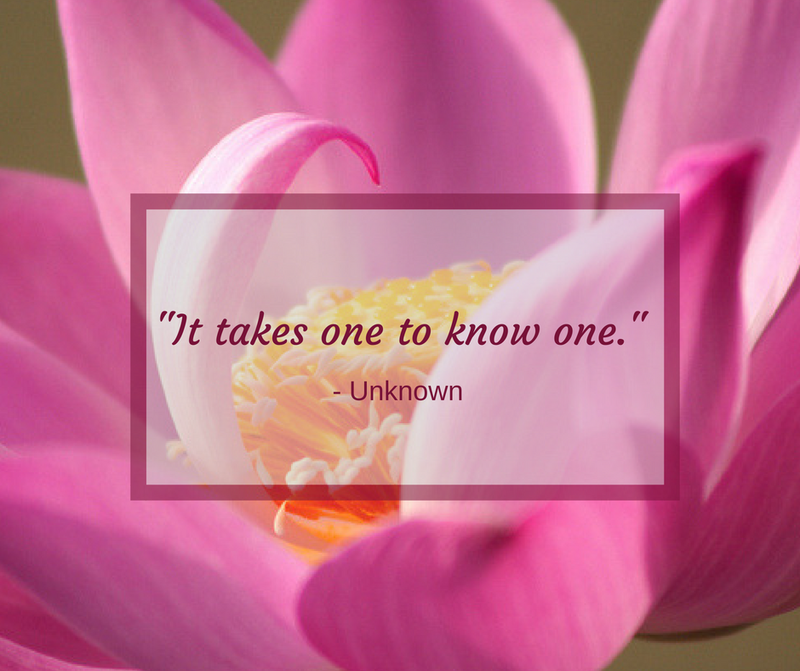 "My favourite quote is 'it takes one to know one'. I don't know who said this but it was something that was always said by parents and peers in my youth. 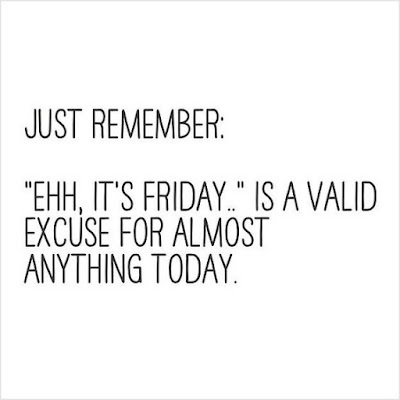 It's very relevant to what I do in my work today as people are too quick to blame or cite failures on others but strangely life is like a mirror and most of the time we have to look towards our own behaviour first and foremost." Lynn Anderton helps people lead their own lives by learning to negotiate their relationships with others better. Learn more about Lynn at www.lynn-anderton.com. "I lived in Singapore for 6 years and decided to return to the UK and set up my own business. 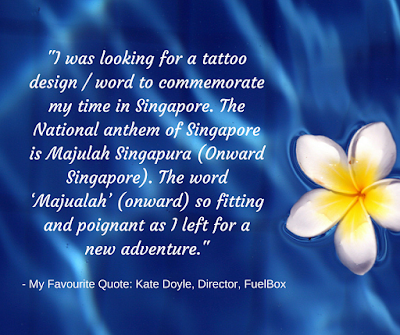 I was looking for a tattoo design/word to commemorate my time in Singapore. The National anthem of Singapore is Majulah Singapura (Onward Singapore). 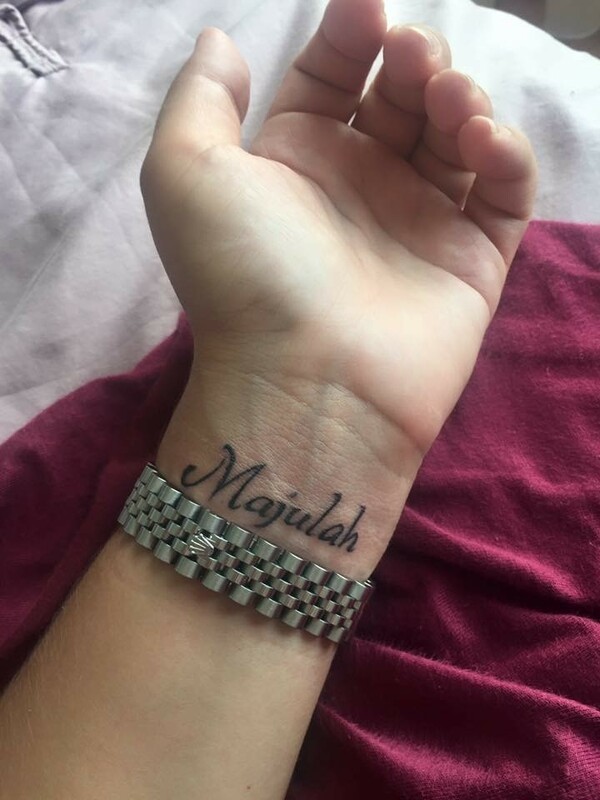 The word ‘Majualah’ (onward) so fitting and poignant as I left for a new adventure. I also have ‘Dance like no-one is watching’ tattooed. 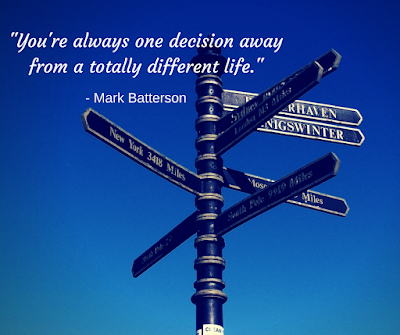 I lead my life the way I want to."